The #5 1Mw boilers service the heating and hot water requirements for this 5 star resort which is the recepient of Tripadvisors ‘Travellers Choice’ and ‘Certificate of Excellence 2017’. Located on 220 acres of stunning grounds and golf course …. 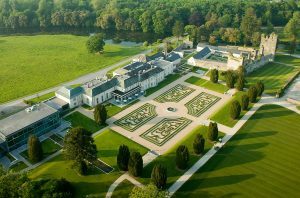 Castlemartyr really is a resort like no other. The M2G project was part funded by Bord Gais Energy which was warmly welcomed by Resort Management.